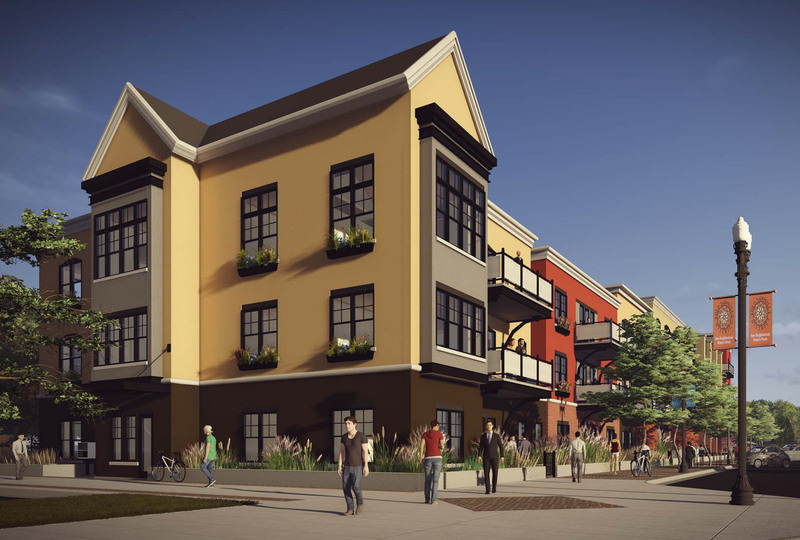 The Sawmill District, Polley’s Square Architecture is inspired by the history of Missoula and the Sawmill site. The Old Sawmill district was the center of Missoula’s commerce where logs were processed, truck beds were manufactured and rail cars passed by the edge. In the spirit of this history, the Polleys Square building is inspired by Missoula’s historic architecture including railroad, warehouses, and downtown storefront buildings. On the corner of the main floor there is a commercial space with the opportunity for outdoor café seating. A tower anchors the corner of the building like a railroad depot or a significant storefront building in a village. 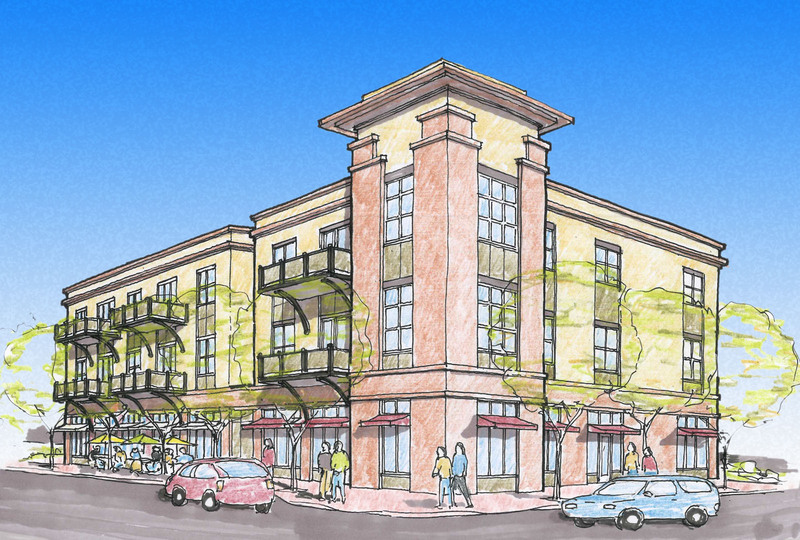 The village concept is accentuated with commercial on the main floor corner, which will contribute to the larger Missoula village and to the immediate Sawmill District. 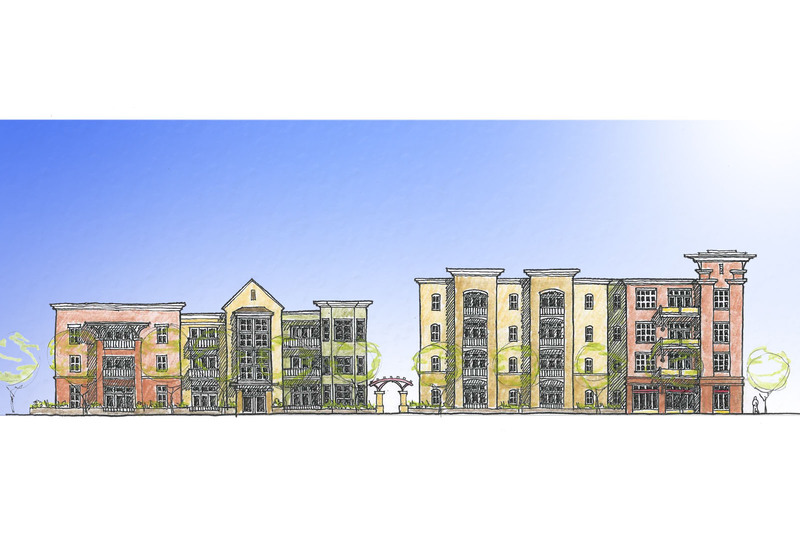 Polley’s Square is a 4 unit complex with a landscaped courtyard in the middle. This building will be the first on the site and will be the catalyst for much more development in the Sawmill District as part of a larger master plan. 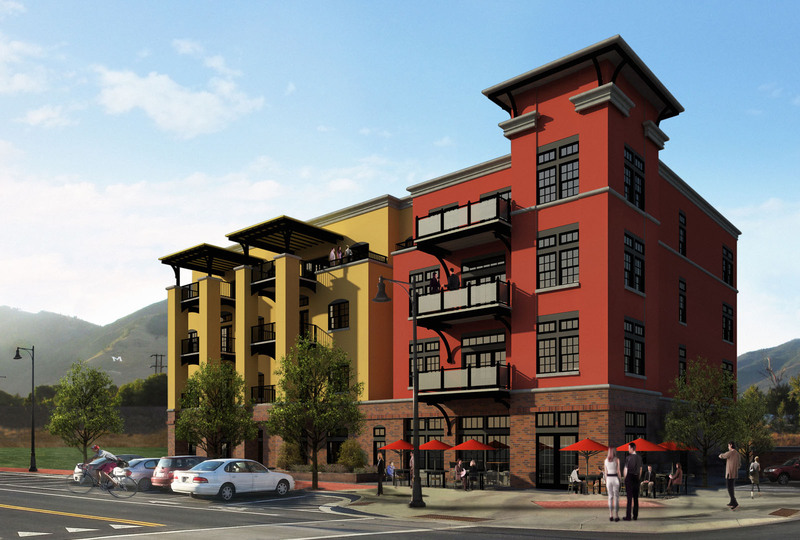 It features 21 units with underground parking and fantastic views of the Clark Fork and surrounding downtown Missoula.